If you are looking for a reason to talk to a young person in your life about pursuing a career in engineering, this week was made for you! 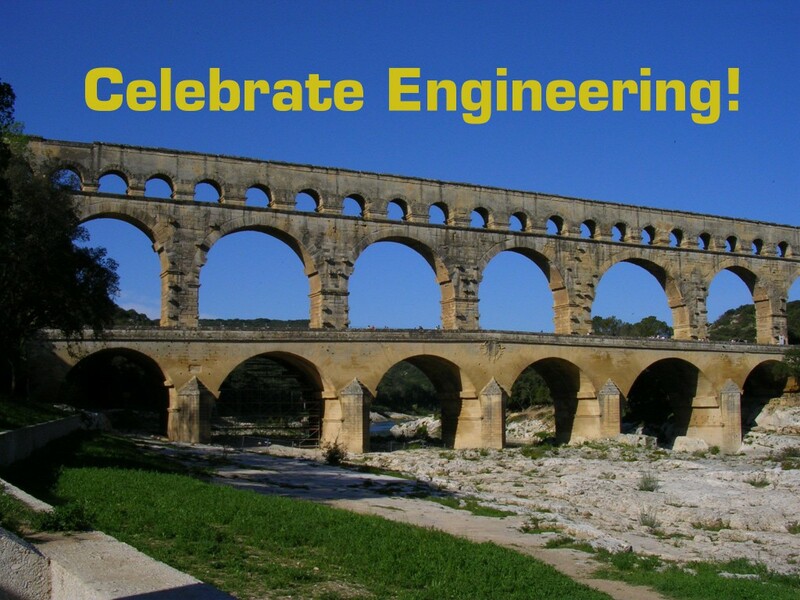 February 22-28 marks National Engineer’s Week, a nationwide effort to encourage interest in the engineering profession among youths. There is an alarming shortage of engineers in the country, but when we examine the number of aspiring engineers, the scarcity is not at all surprising. According to a survey conducted by Intel, 63% of teens have never even considered a career in engineering and nearly a third of all surveyed said that they did not know about career opportunities in engineering. The good news is that according to the same study, once teens are made aware of what engineers actually do, how much money they make, and the availability of jobs, more than half will go on to consider a career in engineering. So be great and do your part. If you know any young people, tell them why you chose engineering and what’s so great about your job. Need ideas? There are an abundance of resources all over the web with ideas on how to expose elementary aged children through high schoolers to engineering and boost their enthusiasm.